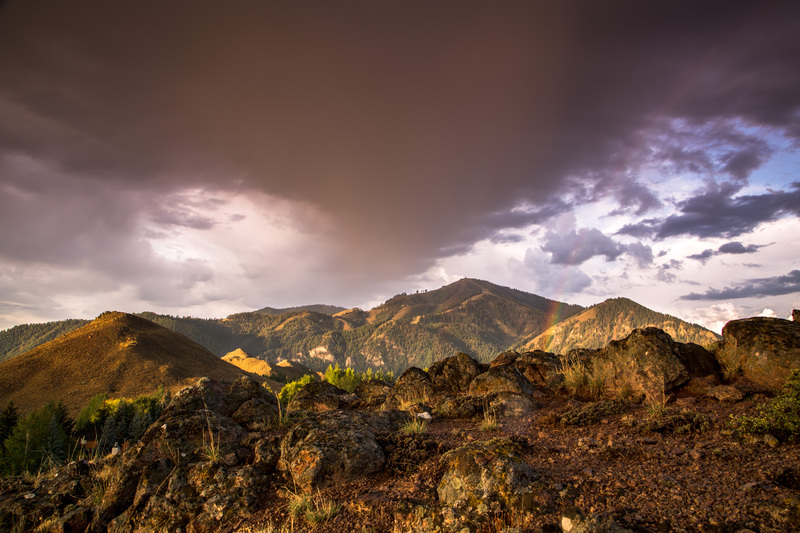 SUN VALLEY, IDAHO, and its surrounding region are replete with opportunities to explore and discover. Outdoor activities — mountain biking, paragliding, hiking, fly fishing — meld with a vibrant local culture, which appreciates a cold beer and a hot springs soak as much as it does world-class art and music, to deliver a place unlike any other. Here’s some insider info to get you in the know…but you won’t truly understand until you’ve experienced it for yourself. 1. The higher you get, the higher you get. This phrase takes on a visceral new meaning once you’ve conquered the famed Pioneer Cabin hike. The Stair Master-esque trail climbs 2,400 vertical feet over 3.75 miles, and greeting you at your destination are the words “The higher you get the higher you get” inscribed in bright white letters on the Pioneer Cabin rooftop. It’ll all make sense once you catch your breath. Plan ahead and bring plenty of water and layers on this hike, because the higher you get…the less water you’ll find and the greater temperature swings you’ll experience! Budget about 4-5 hours round trip, starting from the end of Corral Creek Road east of Sun Valley Resort. 2. The symphony isn’t necessarily an indoor event. 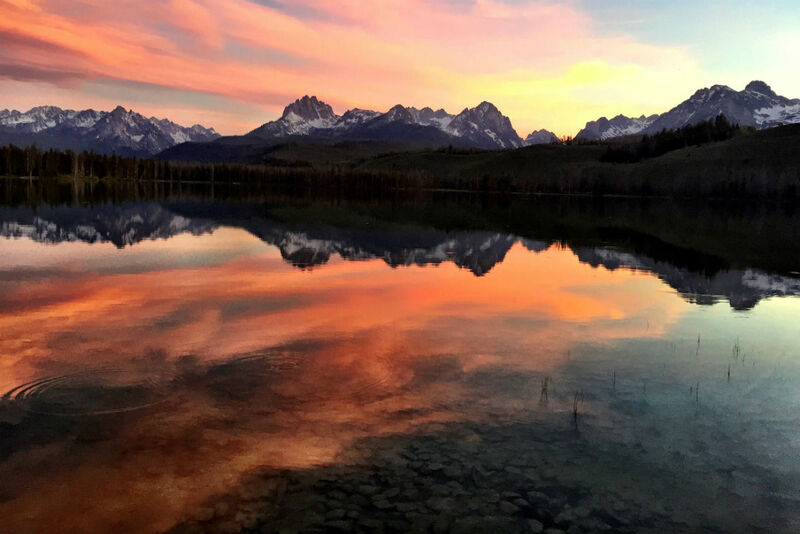 It’s true — on summer evenings between the hours of 6 and 7:30, the buzzing town of Ketchum can feel a little, well, dead. Why? 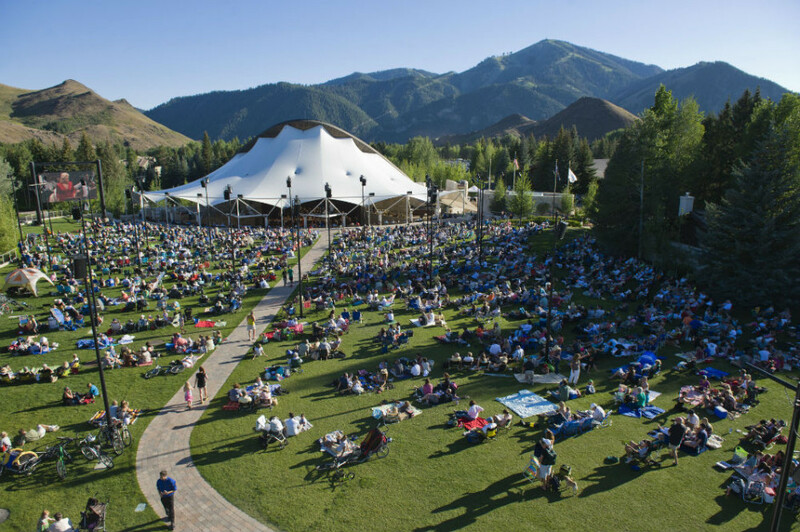 Everyone’s picnicking and listening to the rip-roaring 120-strong Sun Valley Summer Symphony at the pavilion. Open to the public with tons of (totally free!) lawn seating, hearing top-notch musicians while chilling with friends and family in the evening sun is pretty hard to beat. This summer the events run from July 26 to August 19. Big cities? Who needs ’em. 3. You haven’t experienced Sun Valley nightlife until you’ve had your photo taken in the Big Chair. Everyone knows it’s not a complete Sun Valley experience without stopping a stranger to take a photo of you and all your mates in the Big Chair. This iconic photographic backdrop is hard to miss — find it in downtown Ketchum on Sun Valley Road. 4. Putt-putt isn’t all windmills and scary clowns. 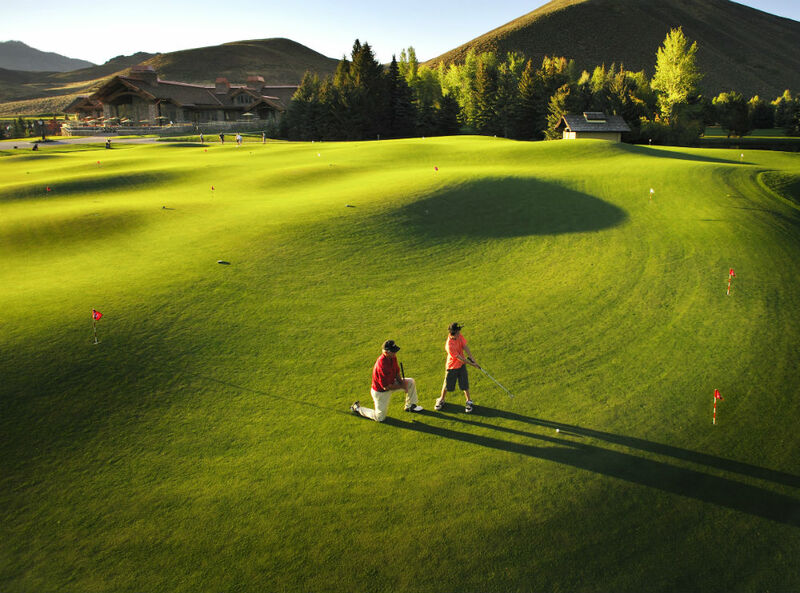 While miniature golf may conjure up visions of windmills and inescapable water hazards, the Sun Valley putt-putt course leaves those stereotypes by the wayside in favor of a more au-naturale approach. Set amidst one of the best views of Baldy and accompanied by a topnotch bar, this undulating 18-hole putting course is a unique take on the classic pastime. Channel your inner Bill Murray and live out that Cinderella Story — you’ll know when you go. 5. The BARmuda triangle is nothing to fear. Sometimes the urge to keep the post-dinner momentum rolling pulls you into uncharted territory. Enter the vortex of nightlife shenanigans that is downtown Ketchum. Here’s how to navigate it like a local: Start things off by grabbing the shuffleboard table and a Moscow Mule at the Cellar Pub. Whiskey’s is next on the list. Remember your dancing shoes, as there’s almost always music on tap. And if you’re in the mood to close it down, the last stop has to be the Casino. Round out the night by showing off your carefully honed pools skills accompanied by a “Ham-tini” and your favorite jukebox tunes. 6. Heading up north for the weekend always makes sense. Sun Valley itself is a magical place; at the same time, it can serve as an awesome base camp for adventures further afield. And in the summer, there’s pretty much nowhere more beautiful than the Stanley Basin and its views out to the Sawtooths. Make the 60-mile drive and go whitewater rafting on the Salmon River, catch a SUP paddle session on one of four pristine mountain lakes, or camp under the veil of the unobstructed Milky Way. When you’re ready to head back, Sun Valley will be waiting. 7. Friday night gallery walks are not to be missed. Often nicknamed the Wine Walk, the Sun Valley Gallery Association’s Friday night art walk is amazing — yes because there’s free wine, but more importantly because it allows the chance to see incredible local and national art while socializing with people of all generations and walks of life. Galleries like Gail Severn, Broschofsky Galleries, and Kneeland are just a few spots you’ll definitely want to check out. 8. Fruit loops aren’t just a cereal. 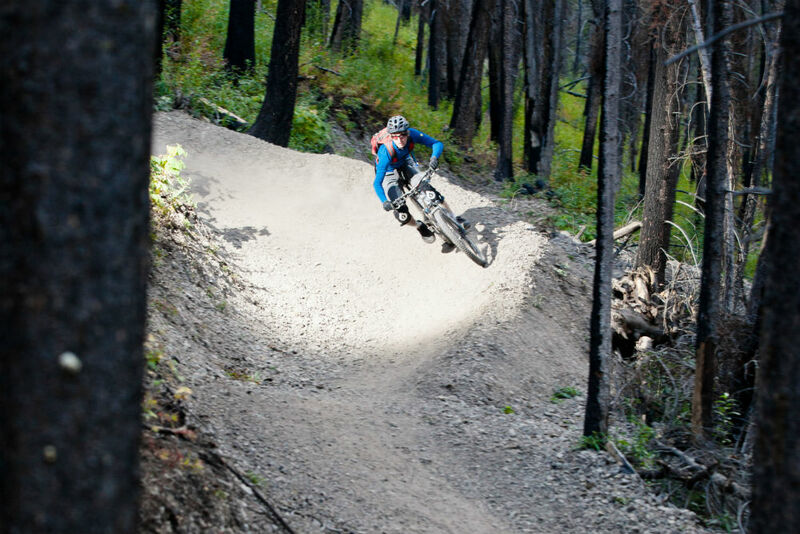 It’s the nickname of Sun Valley mountain bikers’ favorite flow trail. Okay, so this short-and-sweet one-mile lap is officially called Forbidden Fruit, but it’s not the only reason cyclists fall in love with the area. Home to some of the best and most extensive mountain biking in the country, with somewhere north of 400 linked miles of buffed-out single track in the Wood River Valley alone, you’ll rarely have to ride the same route twice round here. 9. Monkeys aren’t just jungle animals, and schooners aren’t just boats. These are the classic post-ride watering holes, where you’ll definitely meet a local character or ten: Lefty’s Bar & Grill and Grumpy’s. Head onto the deck at Lefty’s and order some spicy monkey fries to go with your local beer. It’s practically tradition. And at Grumpy’s, you can order copious amounts of frothy deliciousness in one personal container, the schooner. You may never go back to pints again. 10. You know Sun Valley’s real name. Sun Valley? More like Fun Valley. The ultimate big (and little) kids’ playground, with over 400 miles of interconnected single track, 3,000 vertical feet of steep skiing, an ever-expanding terrain park, endless hikes that get you deep into multiple mountain ranges, 200km of pristine Nordic trails, world-class fly fishing, and four manicured golf courses — Sun Valley really is ridiculously good, whatever season you visit. This post is proudly produced in partnership with Visit Sun Valley.